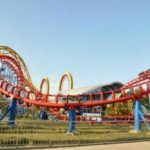 7 ring hanging roller coaster refers to the roller coaster train move outside the track, roller coaster seats suspension in the track and passengers left vacant will hanging when they are riding the hanging roller coaster. Hanging roller coaster rides, also called suspended roller coaster. This 7 ring hanging roller coaster mainly consists of overhead track, traction system, brake system and the roller coaster trains. The overhead track mainly consists of a 360 degree vertical ring, a 270 degree vertical ring, two 360 degree spiral rings, a total of seven 360 degree horizontal flat rings and a series of undulating curves. 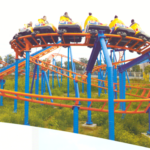 The tractor automatically decouples and glides after lifting the roller coaster train to the highest point, continuously completing subduction, two vertical rolling, two spiral rolling and three spiraling movements. Passengers will enjoy the experience of height, speed, subduction, weightlessness and overweight and also centrifugal. Passengers will enjoy the entertainment and also two legs of these passengers hanging in the sky enhanced the irritation when riding the 7 ring hanging roller coaster. The 7 ring hanging roller coaster is safe enough to passengers. 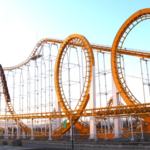 With its complex movement, the hanging roller coaster become more popular. Large volume makes good ornamental of the hanging roller coaster. Popular used in the large amusement parks, theme parks and funfairs. Professional designer and advanced technology. 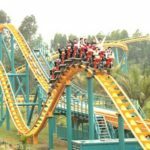 Beston Amusement is a professional roller coaster rides manufacturer and supplier in China, Our aim is to provide enjoyment and high quality with reasonable prices amusement rides for people around the world. 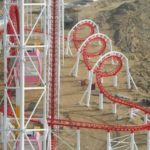 We design and manufacture high quality and high safety thrill hanging roller coaster rides for sale with a reasonable price. 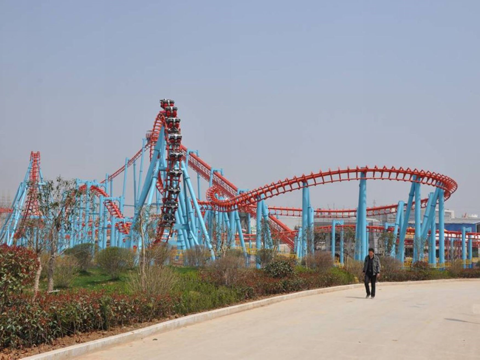 Beston makes use of advanced technology and quality materials like high quality steel to our large roller coaster rides. 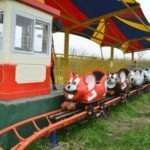 We are aiming at make the attractive and unique appearance amusement park hanging roller coaster rides for sale. We offer the top amusement equipment and best post service for our customers. 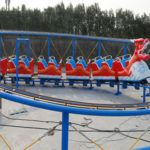 If you are looking for large roller coaster rides for your amusement parks, theme park, you are welcome to buy our 7 ring hanging roller coaster. You can email us, call us and you will get free quote soon from our sales manager. Make sure the production is manufactured by a formal and professional factory. Make sure the factory has its warehouse. Before purchase the hanging roller coaster, verify the certification of the equipment. Do not buy cheap hanging roller coaster with low quality. 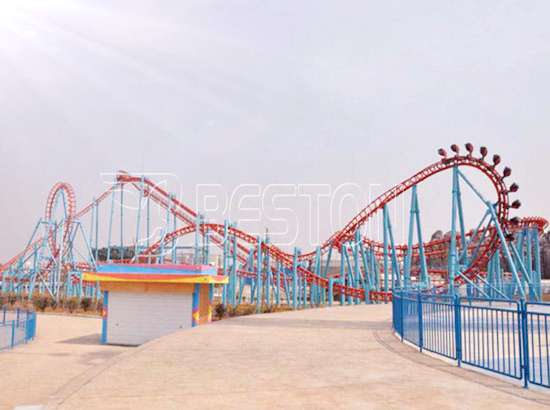 Beston, one of the largest amusement park roller coaster rides manufacturer and exporter in China. 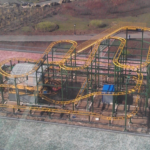 We had manufactured and designed more than 20 sets of large roller coaster rides these years. Our hanging roller coaster rides has been delivered to many different countries. Such as, last year, we exported 2 set of roller coaster rides to Iraq and Pakistan. We also produce other large thrill amusement park, like ferris wheel rides, pirate ship rides, swing tower rides and etc.